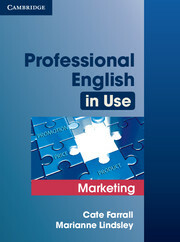 Professional English in Use Marketing offers comprehensive coverage of key marketing vocabulary, it includes 50 units covering everything from marketing basics and the full marketing mix, through to research, advertising, media and PR. 'Over to you' activities allow learners to apply the vocabulary they learn to their own studies and working lives. Contains a learner-friendly answer key and a comprehensive index for easy vocabulary reference. A regular focus on real companies and a variety of authentic texts make the book relevant and practical for learners. 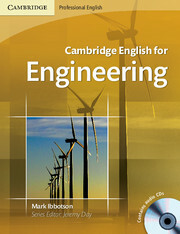 A short self-study or classroom course (40-60 hours) for engineers who need to use English in the workplace.